Pastor Theus attended West Sr. High School in Denmark, Tn. and later attended South Side High School in Jackson, Tn. graduating in 1987. He is a graduate of The Oral Roberts University majoring in theology studies, a graduate of Biblical Studies of Christian Bible Institute, received his Certificate of Pastorial Counselor from St. Gregory School of Theology, received his certificate of completion from Master Management Online Schools for Church Management, completed Theology degree training from Oral Roberts University, received his Honorary Doctrine from MC Academy & Theology School, certificate of completion from the Tennessee Board of Regents Air Conditioning and Refrigeration from Tennessee Technology School, certificate of completeion from Phase one EPA Renovation and Remodeling for Contractors and a certificate of completion for financial teaching and management from Financial Peace University. 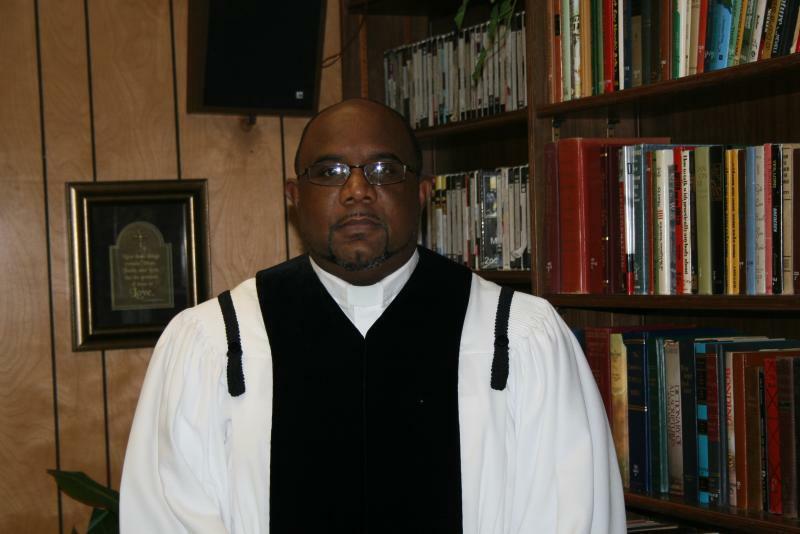 Pastor Theus is also a member of The National Association of Christian Ministers, American Association of Pastorial Counselors, The Jackson Madison County Chamber of Commerce, The Jackson Madison County Branch of the NAACP, The Jackson Madison County African American Chamber of Commerce and The Coilition of African American Pastors. Elder Theus, under the direction of Bishop Albert Ervin Jr. became a licensed and ordained Minister on July 30, 2000. After serving in the position of Minister for approximately 4 years, Pastor Theus was installed as a licensed and ordained Elder on August 8, 2004. Our founder Bishop Albert Ervin Jr. in May of 2010 felt the call of God to set the church in order for our future. The Bishop announced that should any circumstances arise that shall call for him to go home and live with the Lord that Elder Darrin Theus would receive the torch to become Gospel Temple's next Overseer and Pastor. As God would have it, on June 28, 2010 he called the Bishop home to eternal rest. After the sudden death of the Bishop, Elder Theus was officially installed as only the second Pastor of Gospel Temple Holiness Church on August 1, 2010. Pastor Theus continues to serve strong and faithful as the leader of the congregation by receiving his Doctrine and the community by receiving an award for one of the Most Outstanding Pastors of West Tennessee. Pastor Theus and his wife, First Lady Theus were married on March 15, 1997. They have six wonderful children all of who also serve faithfully in the church. The Theus family consist of three boys; Danny, Breland, Zachary and three girls; Erica, Jasmyne, and Mariah. They also have three very beautiful grandchildren, Kyah, Serenity and Madison.